If one of the aforementioned reasons applies, and a data subject wishes to request the erasure of personal data stored by the Cara Zagni Photography, he or she may, at any time, contact any employee of the controller. An employee of Cara Zagni Photography shall promptly ensure that the erasure request is complied with immediately. Where the controller has made personal data public and is obliged pursuant to Article 17(1) to erase the personal data, the controller, taking account of available technology and the cost of implementation, shall take reasonable steps, including technical measures, to inform other controllers processing the personal data that the data subject has requested erasure by such controllers of any links to, or copy or replication of, those personal data, as far as processing is not required. An employees of the Cara Zagni Photography will arrange the necessary measures in individual cases. If one of the aforementioned conditions is met, and a data subject wishes to request the restriction of the processing of personal data stored by the Cara Zagni Photography, he or she may at any time contact any employee of the controller. The employee of the Cara Zagni Photography will arrange the restriction of the processing. f) Right to data portability Each data subject shall have the right granted by the European legislator, to receive the personal data concerning him or her, which was provided to a controller, in a structured, commonly used and machine-readable format. He or she shall have the right to transmit those data to another controller without hindrance from the controller to which the personal data have been provided, as long as the processing is based on consent pursuant to point (a) of Article 6(1) of the GDPR or point (a) of Article 9(2) of the GDPR, or on a contract pursuant to point (b) of Article 6(1) of the GDPR, and the processing is carried out by automated means, as long as the processing is not necessary for the performance of a task carried out in the public interest or in the exercise of official authority vested in the controller. Furthermore, in exercising his or her right to data portability pursuant to Article 20(1) of the GDPR, the data subject shall have the right to have personal data transmitted directly from one controller to another, where technically feasible and when doing so does not adversely affect the rights and freedoms of others. In order to assert the right to data portability, the data subject may at any time contact any employee of the Cara Zagni Photography. g) Right to object Each data subject shall have the right granted by the European legislator to object, on grounds relating to his or her particular situation, at any time, to processing of personal data concerning him or her, which is based on point (e) or (f) of Article 6(1) of the GDPR. This also applies to profiling based on these provisions. Cara Zagni Photography shall no longer process the personal data in the event of the objection, unless we can demonstrate compelling legitimate grounds for the processing which override the interests, rights and freedoms of the data subject, or for the establishment, exercise or defence of legal claims.  If Cara Zagni Photography processes personal data for direct marketing purposes, the data subject shall have the right to object at any time to processing of personal data concerning him or her for such marketing. This applies to profiling to the extent that it is related to such direct marketing. If the data subject objects to Cara Zagni Photography to the processing for direct marketing purposes, Cara Zagni Photography will no longer process the personal data for these purposes. In addition, the data subject has the right, on grounds relating to his or her particular situation, to object to processing of personal data concerning him or her by Cara Zagni Photography for scientific or historical research purposes, or for statistical purposes pursuant to Article 89(1) of the GDPR, unless the processing is necessary for the performance of a task carried out for reasons of public interest. In order to exercise the right to object, the data subject may contact any employee of Cara Zagni Photography. In addition, the data subject is free in the context of the use of information society services, and notwithstanding Directive 2002/58/EC, to use his or her right to object by automated means using technical specifications. h) Automated individual decision-making, including profiling Each data subject shall have the right granted by the European legislator not to be subject to a decision based solely on automated processing, including profiling, which produces legal effects concerning him or her, or similarly significantly affects him or her, as long as the decision (1) is not is necessary for entering into, or the performance of, a contract between the data subject and a data controller, or (2) is not authorised by Union or Member State law to which the controller is subject and which also lays down suitable measures to safeguard the data subject’s rights and freedoms and legitimate interests, or (3) is not based on the data subject’s explicit consent. If the decision (1) is necessary for entering into, or the performance of, a contract between the data subject and a data controller, or (2) it is based on the data subject’s explicit consent, Cara Zagni Photography shall implement suitable measures to safeguard the data subject’s rights and freedoms and legitimate interests, at least the right to obtain human intervention on the part of the controller, to express his or her point of view and contest the decision. If the data subject wishes to exercise the rights concerning automated individual decision-making, he or she may, at any time, contact any employee of Cara Zagni Photography. i) Right to withdraw data protection consent Each data subject shall have the right granted by the European legislator to withdraw his or her consent to processing of his or her personal data at any time. If the data subject wishes to exercise the right to withdraw the consent, he or she may, at any time, contact any employee of the Cara Zagni Photography. 9. Data protection provisions about the application and use of Facebook On this website, the controller has integrated components of the enterprise Facebook. Facebook is a social network. A social network is a place for social meetings on the Internet, an online community, which usually allows users to communicate with each other and interact in a virtual space. A social network may serve as a platform for the exchange of opinions and experiences, or enable the Internet community to provide personal or business-related information. Facebook allows social network users to include the creation of private profiles, upload photos, and network through friend requests. The operating company of Facebook is Facebook, Inc., 1 Hacker Way, Menlo Park, CA 94025, United States. If a person lives outside of the United States or Canada, the controller is the Facebook Ireland Ltd., 4 Grand Canal Square, Grand Canal Harbour, Dublin 2, Ireland. With each call-up to one of the individual pages of this Internet website, which is operated by the controller and into which a Facebook component (Facebook plug-ins) was integrated, the web browser on the information technology system of the data subject is automatically prompted to download display of the corresponding Facebook component from Facebook through the Facebook component. An overview of all the Facebook Plug-ins may be accessed under https://developers.facebook.com/docs/plugins/. During the course of this technical procedure, Facebook is made aware of what specific sub-site of our website was visited by the data subject. If the data subject is logged in at the same time on Facebook, Facebook detects with every call-up to our website by the data subject—and for the entire duration of their stay on our Internet site—which specific sub-site of our Internet page was visited by the data subject. This information is collected through the Facebook component and associated with the respective Facebook account of the data subject. If the data subject clicks on one of the Facebook buttons integrated into our website, e.g. the “Like” button, or if the data subject submits a comment, then Facebook matches this information with the personal Facebook user account of the data subject and stores the personal data. Facebook always receives, through the Facebook component, information about a visit to our website by the data subject, whenever the data subject is logged in at the same time on Facebook during the time of the call-up to our website. This occurs regardless of whether the data subject clicks on the Facebook component or not. If such a transmission of information to Facebook is not desirable for the data subject, then he or she may prevent this by logging off from their Facebook account before a call-up to our website is made. The data protection guideline published by Facebook, which is available at https://facebook.com/about/privacy/, provides information about the collection, processing and use of personal data by Facebook. In addition, it is explained there what setting options Facebook offers to protect the privacy of the data subject. In addition, different configuration options are made available to allow the elimination of data transmission to Facebook. These applications may be used by the data subject to eliminate a data transmission to Facebook. 10. Data protection provisions about the application and use of Instagram On this website, the controller has integrated components of the service Instagram. Instagram is a service that may be qualified as an audiovisual platform, which allows users to share photos and videos, as well as disseminate such data in other social networks. The operating company of the services offered by Instagram is Instagram LLC, 1 Hacker Way, Building 14 First Floor, Menlo Park, CA, UNITED STATES. With each call-up to one of the individual pages of this Internet site, which is operated by the controller and on which an Instagram component (Insta button) was integrated, the Internet browser on the information technology system of the data subject is automatically prompted to the download of a display of the corresponding Instagram component of Instagram. During the course of this technical procedure, Instagram becomes aware of what specific sub-page of our website was visited by the data subject. If the data subject is logged in at the same time on Instagram, Instagram detects with every call-up to our website by the data subject—and for the entire duration of their stay on our Internet site—which specific sub-page of our Internet page was visited by the data subject. This information is collected through the Instagram component and is associated with the respective Instagram account of the data subject. If the data subject clicks on one of the Instagram buttons integrated on our website, then Instagram matches this information with the personal Instagram user account of the data subject and stores the personal data. Instagram receives information via the Instagram component that the data subject has visited our website provided that the data subject is logged in at Instagram at the time of the call to our website. This occurs regardless of whether the person clicks on the Instagram button or not. If such a transmission of information to Instagram is not desirable for the data subject, then he or she can prevent this by logging off from their Instagram account before a call-up to our website is made. Further information and the applicable data protection provisions of Instagram may be retrieved under https://help.instagram.com/155833707900388 and https://www.instagram.com/about/legal/privacy/. 11. Data protection provisions about the application and use of Pinterest On this website, the controller has integrated components of Pinterest Inc. Pinterest is a so-called social network. A social network is an Internet social meeting place, an online community that allows users to communicate and interact with each other in a virtual space. A social network may serve as a platform for the exchange of opinions and experiences, or allow the Internet community to provide personal or company-related information. Pinterest enables the users of the social network to publish, inter alia, picture collections and individual pictures as well as descriptions on virtual pinboards (so-called pins), which can then be shared by other user’s (so-called re-pins) or commented on. The operating company of Pinterest is Pinterest Inc., 808 Brannan Street, San Francisco, CA 94103, UNITED STATES. With each call-up to one of the individual pages of this Internet site, which is operated by the controller and on which a Pinterest component (Pinterest plug-in) was integrated, the Internet browser on the information technology system of the data subject automatically prompted to download through the respective Pinterest component a display of the corresponding Pinterest component. Further information on Pinterest is available under https://pinterest.com/. During the course of this technical procedure, Pinterest gains knowledge of what specific sub-page of our website is visited by the data subject. If the data subject is logged in at the same time on Pinterest, Pinterest detects with every call-up to our website by the data subject—and for the entire duration of their stay on our Internet site—which specific sub-page of our Internet page was visited by the data subject. This information is collected through the Pinterest component and associated with the respective Pinterest account of the data subject. If the data subject clicks on one of the Pinterest buttons, integrated on our website, then Pinterest assigns this information to the personal Pinterest user account of the data subject and stores the personal data. Pinterest receives information via the Pinterest component that the data subject has visited our website, provided that the data subject is logged in at Pinterest at the time of the call-up to our website. This occurs regardless of whether the person clicks on the Pinterest component or not. If such a transmission of information to Pinterest is not desirable for the data subject, then he or she may prevent this by logging off from their Pinterest account before a call-up to our website is made. The data protection guideline published by Pinterest, which is available under https://about.pinterest.com/privacy-policy, provides information on the collection, processing and use of personal data by Pinterest. 12. Payment Method: Data protection provisions about the use of PayPal as a payment processor On this website, the controller has integrated components of PayPal. PayPal is an online payment service provider. Payments are processed via so-called PayPal accounts, which represent virtual private or business accounts. PayPal is also able to process virtual payments through credit cards when a user does not have a PayPal account. A PayPal account is managed via an e-mail address, which is why there are no classic account numbers. PayPal makes it possible to trigger online payments to third parties or to receive payments. PayPal also accepts trustee functions and offers buyer protection services. The European operating company of PayPal is PayPal (Europe) S.à.r.l. & Cie. S.C.A., 22-24 Boulevard Royal, 2449 Luxembourg, Luxembourg. If the data subject chooses “PayPal” as the payment option in the online shop during the ordering process, we automatically transmit the data of the data subject to PayPal. By selecting this payment option, the data subject agrees to the transfer of personal data required for payment processing. The personal data transmitted to PayPal is usually first name, last name, address, email address, IP address, telephone number, mobile phone number, or other data necessary for payment processing. The processing of the purchase contract also requires such personal data, which are in connection with the respective order. The transmission of the data is aimed at payment processing and fraud prevention. The controller will transfer personal data to PayPal, in particular, if a legitimate interest in the transmission is given. The personal data exchanged between PayPal and the controller for the processing of the data will be transmitted by PayPal to economic credit agencies. This transmission is intended for identity and creditworthiness checks. PayPal will, if necessary, pass on personal data to affiliates and service providers or subcontractors to the extent that this is necessary to fulfill contractual obligations or for data to be processed in the order. The data subject has the possibility to revoke consent for the handling of personal data at any time from PayPal. A revocation shall not have any effect on personal data which must be processed, used or transmitted in accordance with (contractual) payment processing. The applicable data protection provisions of PayPal may be retrieved under https://www.paypal.com/us/webapps/mpp/ua/privacy-full. 13. Legal basis for the processing Art. 6(1) lit. a GDPR serves as the legal basis for processing operations for which we obtain consent for a specific processing purpose. If the processing of personal data is necessary for the performance of a contract to which the data subject is party, as is the case, for example, when processing operations are necessary for the supply of goods or to provide any other service, the processing is based on Article 6(1) lit. b GDPR. The same applies to such processing operations which are necessary for carrying out pre-contractual measures, for example in the case of inquiries concerning our products or services. Is our company subject to a legal obligation by which processing of personal data is required, such as for the fulfillment of tax obligations, the processing is based on Art. 6(1) lit. c GDPR. In rare cases, the processing of personal data may be necessary to protect the vital interests of the data subject or of another natural person. This would be the case, for example, if a visitor were injured in our company and his name, age, health insurance data or other vital information would have to be passed on to a doctor, hospital or other third party. Then the processing would be based on Art. 6(1) lit. d GDPR. Finally, processing operations could be based on Article 6(1) lit. f GDPR. This legal basis is used for processing operations which are not covered by any of the abovementioned legal grounds, if processing is necessary for the purposes of the legitimate interests pursued by our company or by a third party, except where such interests are overridden by the interests or fundamental rights and freedoms of the data subject which require protection of personal data. Such processing operations are particularly permissible because they have been specifically mentioned by the European legislator. He considered that a legitimate interest could be assumed if the data subject is a client of the controller (Recital 47 Sentence 2 GDPR). 14. The legitimate interests pursued by the controller or by a third party Where the processing of personal data is based on Article 6(1) lit. f GDPR our legitimate interest is to carry out our business in favour of the well-being of all our employees and the shareholders. 15. Period for which the personal data will be stored The criteria used to determine the period of storage of personal data is the respective statutory retention period. After expiration of that period, the corresponding data is routinely deleted, as long as it is no longer necessary for the fulfilment of the contract or the initiation of a contract. 16. Provision of personal data as statutory or contractual requirement; Requirement necessary to enter into a contract; Obligation of the data subject to provide the personal data; possible consequences of failure to provide such data We clarify that the provision of personal data is partly required by law (e.g. tax regulations) or can also result from contractual provisions (e.g. information on the contractual partner). Sometimes it may be necessary to conclude a contract that the data subject provides us with personal data, which must subsequently be processed by us. The data subject is, for example, obliged to provide us with personal data when our company signs a contract with him or her. The non-provision of the personal data would have the consequence that the contract with the data subject could not be concluded. Before personal data is provided by the data subject, the data subject must contact any employee. The employee clarifies to the data subject whether the provision of the personal data is required by law or contract or is necessary for the conclusion of the contract, whether there is an obligation to provide the personal data and the consequences of non-provision of the personal data.